Welcome to my world. It is a world filled with history, architecture, the pastoral beauty of graveyards, and of course death. My interest in cemeteries is a direct result of my long career as a funeral director. For so many years, I found myself in various cemeteries across New York City and Long Island, conducting funeral services. The monuments around me were intriguing and often, after the conclusion of the service, I would stay to read the inscriptions and study them further. If I have learned anything, it is that each and every life is unique and deserves to be remembered. That is what I strive to do through my books, my articles, and on these pages. Since 1998, I've been a contributor to American Cemetery Magazine. It's been a joy to profile some of my favorite cemeteries including Green-Wood, Kensico, Salem Fields, Gate of Heaven and Sleepy Hollow. To see more of my vast collection of cemetery photography, you can follow me on Instagram and Twitter. 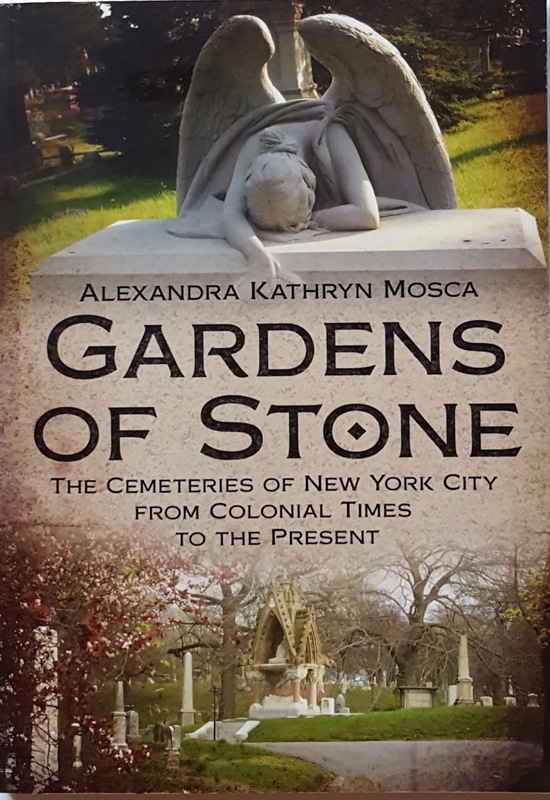 My latest book, Gardens of Stone, offers a mix of famous and obscure New Yorkers, along with a bit about their distinctive stories. 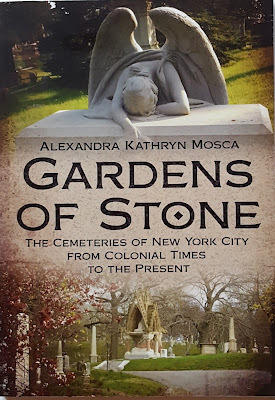 Gardens of Stone is available through amazon.com, barnesandnoble.com and various other online booksellers. 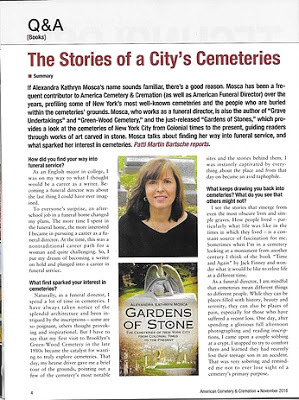 Here's a portion of my interview with American Cemetery & Cremation magazine about the new book. Joseph Pulitzer, the "Father of Journalism"
I am the author of Gardens of Stone: The Cemeteries of New York from Colonial Times to the Present. (Fonthill, 2016) Green-Wood Cemetery (Arcadia Publishing, 2008) and Grave Undertakings (New Horizon Press, 2003). For 20 years I have been a regular contributor to American Cemetery & American Funeral Director Magazines. In that time, I have profiled a number of noted cemeteries, including Green-Wood, Calvary, Oakland, Gate of Heaven, Salem Fields, Ferncliff, Kensico and Moravian. My interest in cemeteries began as an offshoot of my career as a funeral director. Having spent time in many cemeteries in my capacity as a funeral director, made me see that graveyards are so much more than a place to bury the dead. They are also repositories of history, set on bucolic grounds, where one can admire diverse architectural styles while reflecting upon the intersection of life and death. © Alexandra K. Mosca 2018. Simple theme. Powered by Blogger.